Pitching app developers with a new way to convert app browsers into actual customers, AppOnboard has raised $15 million in a new round of funding, the company said. Based in Los Angeles, AppOnboard sees itself as one of a new breed of LA startup that’s steeping itself in the local ecosystem and trying to be one of the cornerstone’s for a new technology hub in the southern California region. Company co-founder Jonathan Zweig has already had one hit as a Los Angeles-based entrepreneur. Zweig was one of the architects behind the success of AdColony, a startup that sold to Opera Software in 2014 for $350 million. It was an early success for the regional ecosystem and proved to be one of the most valuable exits (from a capital efficiency standpoint) for the year. Now Zweig is back again… this time pitching app developers a tool that can help convert browsers into buyers for new applications in app stores around the world. As consumers sour on the free-to-use model (since that model depends on selling user information in order for “free” apps to make money), giving users a way to try before they buy makes sense. Zweig claims that conversion rates have increased significantly for the companies that pay a fee for his company’s service. Play Store shoppers who engage with an app store demo before installing have higher retention and are more likely to become paying customers than those who install directly without playing or using a demo version, the company said. Zweig says that the service is the first from a third party to be directly integrated into a platform like Google’s Play store. “Google has been a great partner for us,” Zweig says. And the company is in talks with other platforms, he said. Now, with the additional cash in hand, Zweig says AppOnboard is ready to make some international expansion moves. The company already has offices in London and in cities across the U.S., but Zweig thinks there’s more room to grow. 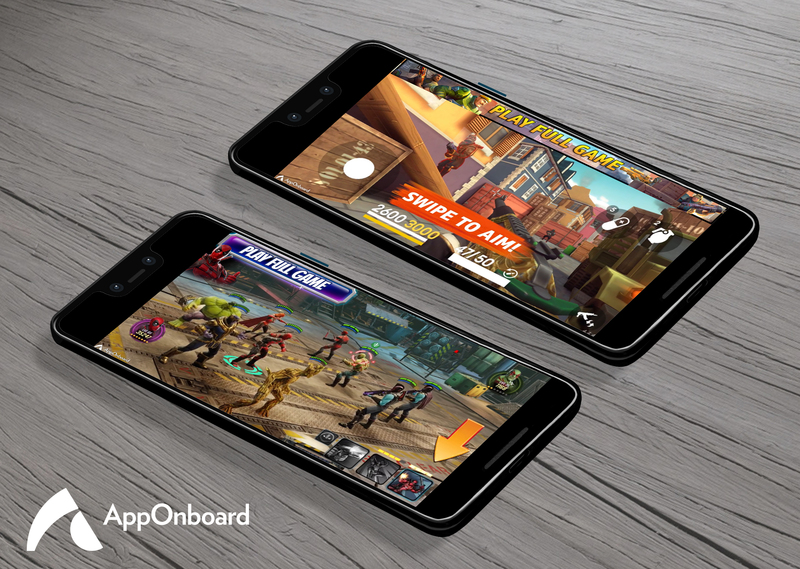 “Our vision continues to be that every app and game will be instant and available for users to experience without a download. We look forward to continuing to work with global developers, Google, and partners to make this a reality for all mobile app users,” said Bryan Buskas, the chief operating officer of AppOnboard. As part of its new pitch, the company is offering a 30-day free trial for any App Store Demo.